SCAMS In Montgomery County-INFORMATION ON WHAT TO DO! The SeniorLAW Center has provided us with information on the scams that are occurring in Montgomery County. These scams can effect everyone! Below are a list of the scams. Please click here for what to do! Heath Care Scams, Grandkid Scams, IRS imposter Scams, Tech Support Scams, Identity Theft, and Utility Scams. PECO Joins National Effort to Help Fight Scammers “Utilities United Against Scams Day 11/15/17” helps raise awareness and provides customers with essential information to fight back! Residents are now able to pay their trash and sewer bills online via Credit Card. Souderton Borough will offer the convenience of accepting MasterCard, Discover, and Visa credit cards for sewer and trash bills. The payment processing company will charge a service fee of 2.45% or $3.00 minimum to cardholders who use this service. This fee will be applied any time there is a payment made via credit card. Debit cards are considered Credit Cards the fee will apply to them as well. This charge applies if you use your card online, over phone, via mail, in drop box or in the office. You will need the Last name of the Account holder and Account Number. Please us last name only and not add the first name into search field. If you need your account number or need any help please contact us at the Borough office 215-723-4371. As storm water flows over roofs, across lawns, and down driveways, it picks up dirt, debris, and chemicals before entering storm drains. Storm drains then empties into the bodies of water we use for drinking, swimming, and fishing—our water supply. Project our water supply by helping to reduce the contaminants in our storm water. 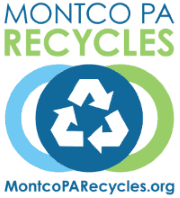 Use the Waste System Authority of Eastern Montgomery County’s Household Hazardous Waste Collection Program to dispose of hazardous household substances, such as used motor oil, cleaning supplies, and paint. Pick up after pets and dispose of their waste properly. If left in your yard or at the park, pet waste can be carried into the storm sewer system or a stream by storm water runoff. Instead of washing your car in your driveway, take it to a commercial car wash, where the water is treated and recycled. Plant drought-tolerant, native plants and grasses in your garden. They often require less water, fertilizer, and pesticides. For more information on how storm water affects our water supply, use the links at right and below. Rain Drain Brochure also on the right hand side of this page. Learn more about your environment and how to help prevent Stormwater pollution in your community. Souderton Borough lies within the Perkiomen Creek Watershed. Learn more about your watershed and how you can help protect it by going on the Souderton Borough website to check out a wealth of information on preventing Stormwater pollution as well as other things you can do to help the environment and improve your lawn and gardens. Go to www.perkiomenwatershed.org for more details and to learn more about these fun and helpful events and more! Thanks to many volunteers and borough crews the Souderton Community Park annually recieves a fresh look. Earth Day kicks off a community clean up and the Souderton Community Park is one of the many sites throughout the borough to get a spring pick up and a year long make over. 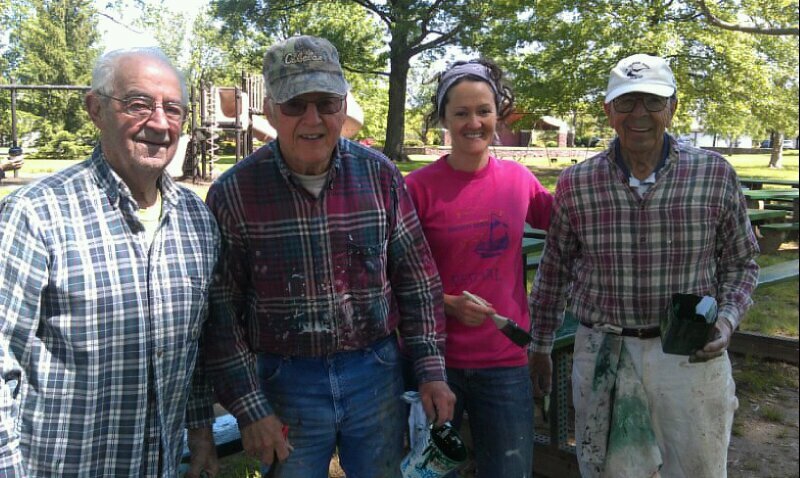 Recently the park benches, tables, shuffleboard, pavilion and band shell were painted. Even though park maintenance is in the plan, Mother Nature usually adds a few items on the ‘list of things to do’ . The Souderton Community Park is a gathering place for many activities throughout the seasons. Thousands of guests visit the park each year. Many memories are cherished and celebrated annually, family reunions, birthday parties, picnics and special events. Families enjoy spending the day at the Souderton Community Park and taking advantage of all the amenities the park and the community has to offer. The pavilion in the Souderton Community Park can be reserved by calling the borough office for availability and information. Registrations form will be available March 2019 online and at the Souderton Borough Office. Click on top right to go to the Pool’s website for more information about the Pool. 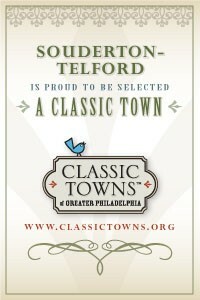 The latest map showing all Parks, Recreation and Cultural destinations in Souderton and Telford Boroughs has been completed recently and is available for download here. Thanks to the Montgomery County Planning Commission / Indian Valley Regional Planning Commission for this interactive PDF that includes direct links to web pages related to the destinations. There is also an interactive PDF of the Indian Valley area parks available for download here. “Music to your ears.” This handsome, covered outdoor theatre stage was constructed as a result of funding received from the Souderton-Telford Rotary Club and was dedicated to the Souderton Centennial Celebration on June 14, 1987. Donations for the construction came from individual club members and local businesses. The band shell is equipped with electric and an excellent lighting system. One unique aspect of the band shell is the arched laminated beam forming the front of the roof. Beginning each June and continuing every Sunday through the beginning of August, “Concert Sundaes in the Park” Contact Concert Sundaes features various musical concerts and programs geared for people of all ages. These free concerts start at 7 p.m. Each week a different community service club sells ice cream! Program booklets are available at the Borough Office. (In the case of inclement weather, the scheduled event is held in the auditorium of the Indian Crest Middle School, 139 Harleysville Pike Rt. 113). In honor of Souderton’s 100th Anniversary Celebration, joint efforts of the Indian Valley Kiwanis Club and the Centennial Committee enabled the construction of this spacious sheltered picnic area. The pavilion is equipped with picnic tables, electric, lighting, and water. Reservations are required to use the pavilion during summer months. Check with the Borough Office for availability. Modular playground equipment is adjacent to the pavilion. Nearly 4 acres of passive open space, located at Wile Avenue and Diamond Street. The site has paved walking paths, benches, and a great view. It is a fabulous place to take a peaceful stroll. Located at the corner of Wile Avenue and W. Chestnut Street, this area features playground equipment for children and toddlers, a gazebo and picnic area. This park is currently under construction to replace old dated play equipment with a new accessible modular play structure, new individual pieces of play equipment and new accessible walking paths. This project is funded with a $195,000 Community Development Block Grant and private fundraising efforts through the Chestnut Street Community Cares fundraisng project chaired by Jen Ruggiero and the Souderton Mennonite Church. This effort raised over $90,000 in matching funds. The construction work is expected to be completed in June, 2014 and followed by an opening community celebration. Located on West Street, south of Green Street. This park is quietly tucked behind residential neighborhoods, designed for passive recreation along a small stream that cuts through the park. The park features picnic areas, playground equipment and tennis courts. Lawn Avenue and Washington Avenue This site, previously known as the Lawn Avenue Tot Lot, recently received a complete renovation. Where outdated playground equipment and a small ice-skating pond once stood, we now have a baseball field, batting cage, walking paths, lighting, and new off-street parking. We have also installed new playground equipment geared toward kids ages 2 to 12. The new equipment features a swing set and two modular play pieces and is enclosed in a fenced-in area. The pavilion is perfect place for snacks, picnic lunches, and spending time out of the sun. From the pavilion, parents will be able to keep an eye on their kids on the playground or watch a pick-up baseball game. There are as many as 50 forms available at the Borough Office. We selected the most used forms and put them on the website so you can download them. More will be posted over time. For more forms go on the left hand side under Permits & Forms. A Use and Occupancy Permit is required for any sale or conveyance of property. This permit will require a physical inspection of your property, which should be completed 30 days prior to the scheduled settlement to provide time to address any noted problems. 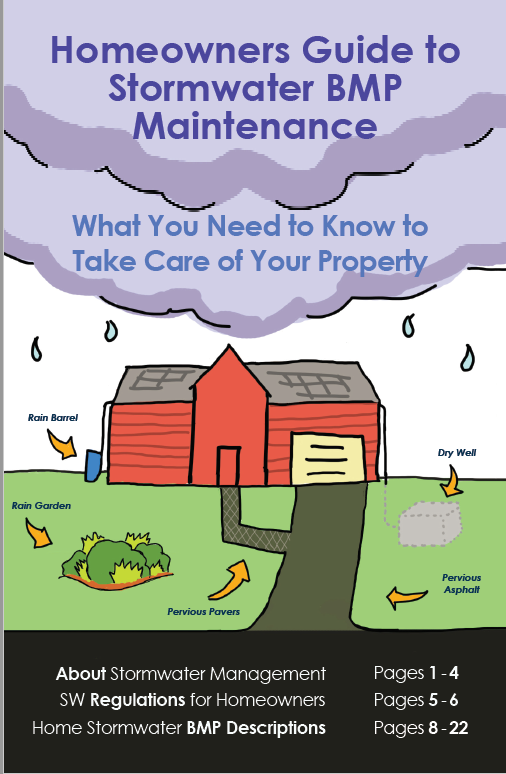 A priority of the inspection will include the condition of curb and sidewalks and/or the construction of curb and sidewalk along the frontage of your property if it is not present and the removal of any basement floor drain that is connected to the sanitary sewer system. Uand0 TECHNICAL SECTION.pdf USE AND OCCUPANCY INSPECTION REPORT 2017. Make sure when you are submitting the U&O application to included a request for Final Sewer (sewer certification) and Final Trash (trash certification). Certifications are to be completed on a separate sheet from the U&O application. Fees are $25.00 for sewer certification and $25.00 for trash certification. Please make sure they are all on separate checks. Regulations also require periodic inspections of all rental units to verify compliance with life and safety issues and the Property Maintenance Code. The inspections will occur every three years. The first round of inspection on all registered rental properties has been completed The inspection schedule is broken down by the three wards in Souderton Borough. Inspections of rental properties located in Ward 1 should be scheduling by the end of 2020. Ward 2 properties will begin inspections in 2021 and properties in Ward 3 will be scheduled beginning in 2019. Please note: If the property owner doesn’t reside at the property and there are other people residing at the property then it is a Rental Property. To request public records, download the Right-to-Know Request_Form and submit it to the borough office. 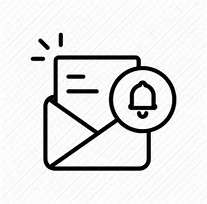 A response or an interim letter will be sent within five business days of receiving the request. Fees for records are based on the fees recommended by the Pennsylvania Office of Open Records; photocopies will cost 25 cents per page and certified police reports will cost $15 per report. Specialized documents and postage fees will be billed at their actual costs. For more information on the Right-to-Know Law, visit the Pennsylvania Office of Open Records.